OMG! LOOK AT THE TWIZLERS IN THE BACKGROUND! I LUV TWIZZZZLERS!!!!!!!!!!!!!!!!!!!!!!! 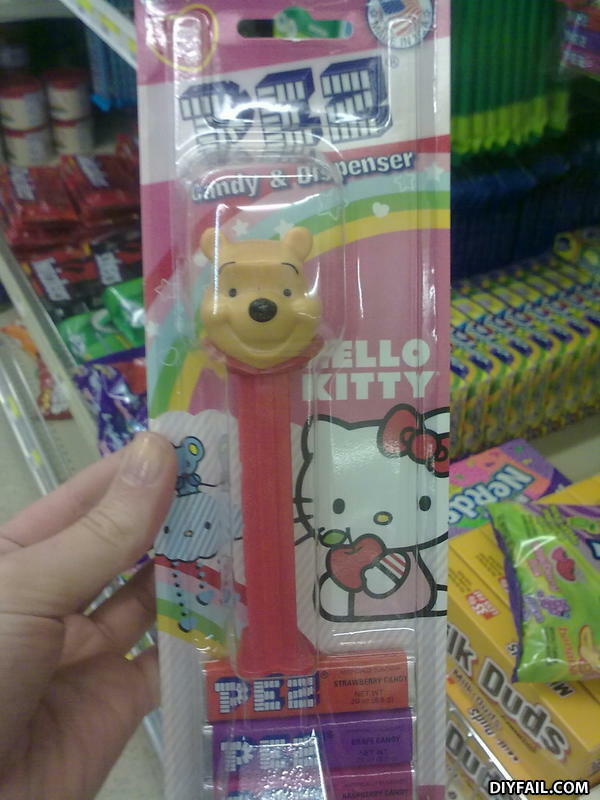 That's not Hello Kitty that's Pooh Bear!!!1! Are you a parking ticket because I'm spending all my money on you and wish you were gone.